In this presentation I will explain the reasoning and logic of the origin of the behaviors manifested by individuals with Autism Spectrum Disorder and ADHD. I truly believe there is the seed of genius in each of them. How do we remove the obstacles that they face secondary to the way they process cognitive and sensory information, so that they can live in their genius and participate fully in life? That is what we will be covering in our hour together. To watch the replay, make sure you are logged in to your HECOA account.. not a member yet? 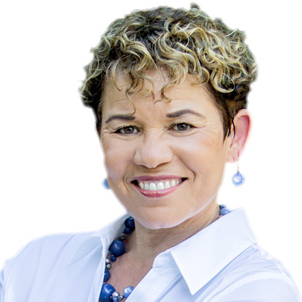 Dr. Angela L. Gonzales (Dr. Angie) is a Pediatrician, Licensed Davis® Facilitator, Licensed Davis® Autism Approach Facilitator/Coach, parenting specialist, transformational speaker, and mother of three. Currently, Dr. Angie owns and runs Dr. Angie's Place in Norco, CA. Dr. Angie's Place is a Learning and Wellness Facility where Dr. Angie uses her Davis® Facilitator License, medical expertise and life experience. She has also recently expanded her work into consulting for the Corona Norco Unified School District as well as joining the roster as a Guest Lecturer at California Baptist University. Through Dr. Angie's Place, she empowers clients, educators and parents with skills and techniques that help overcome the obstacles of learning and social interaction that can accompany the unique thinking styles of those with Dyslexia, ADD/ADHD and Autism Spectrum Disorder to mention a few. Dr. Angie's Place programs utilize multiple, non-pharmaceutical, techniques that are tactile, fun, and unique to each client. The programs also include help with focusing, comprehension, math skills, reading and handwriting skills, social intelligence and foundational life concepts. As a motivational and instructional speaker and educator, Dr. Angie has dedicated herself to helping others, of all ages, to find joy and peace in their lives... especially parents. Through Dr. Angie's Place she offers multiple educational courses and workshops that aid individuals on their path to total wellness of mind, body and soul.